Species named after 'C Curtis' [1853-1928], an English botanist and former director of the botanical garden of Penang (Malaysia). Understorey tree, with or without stilt roots. Red sap. 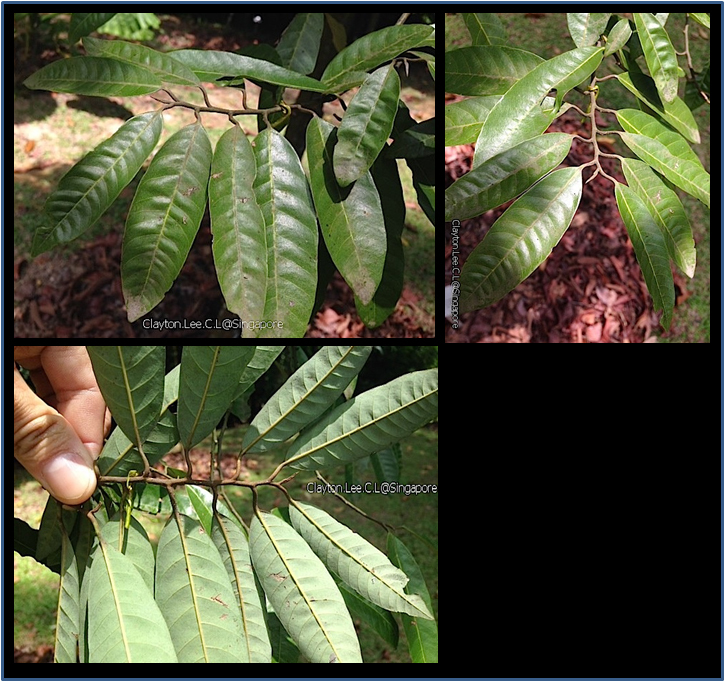 Leaves alternate, without stipules, twigs densely haity (rusty brown), leaves relatively small and narrow, clearly withish below. With small reddish flowers in bundles along twigs.